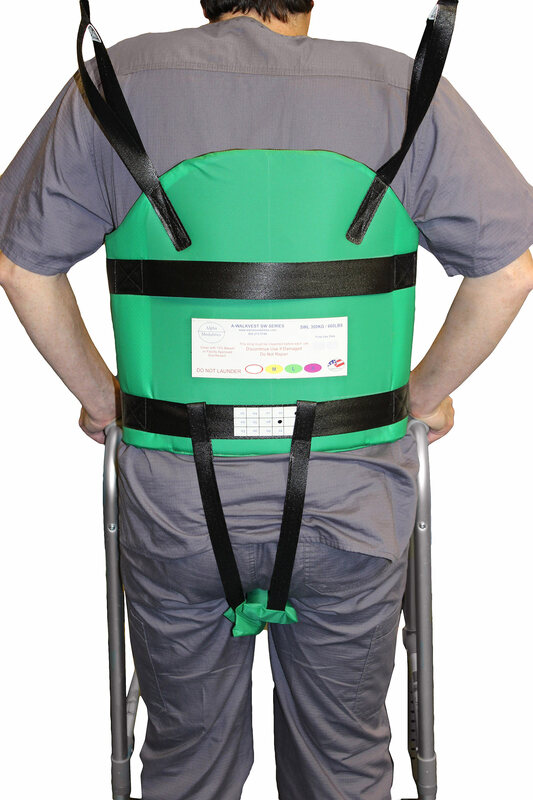 Our wipeable walking vest provide safety to patients who are at risk of falling while ambulating. 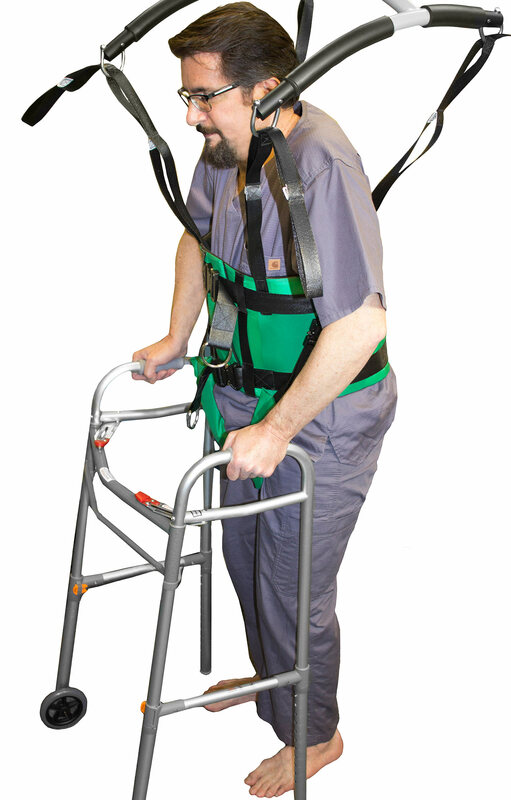 The vest comes in multiple sizes identified by color of vest. 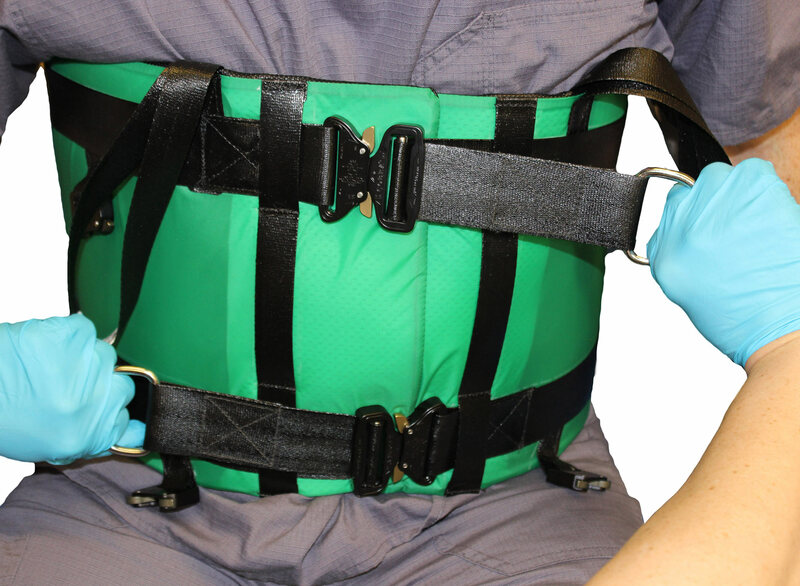 We also offer an extender belt panel for those patients who carry weight in the abdomen area ( not shown). 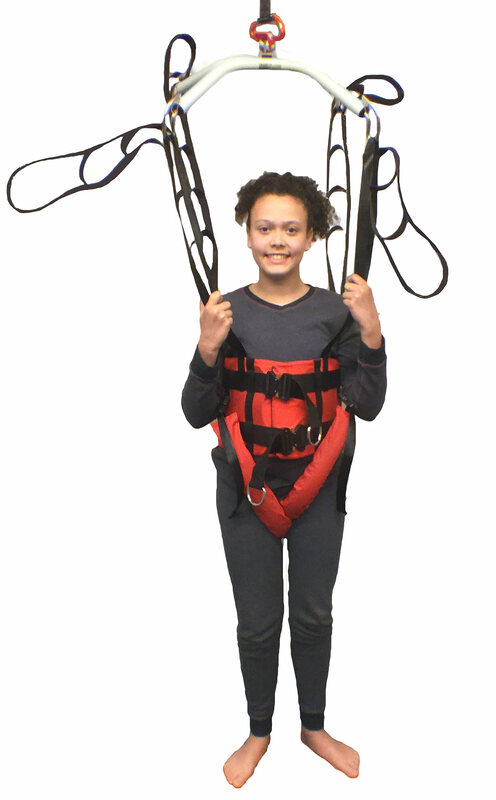 This design also allows for toileting by releasing the clip on the groin straps. 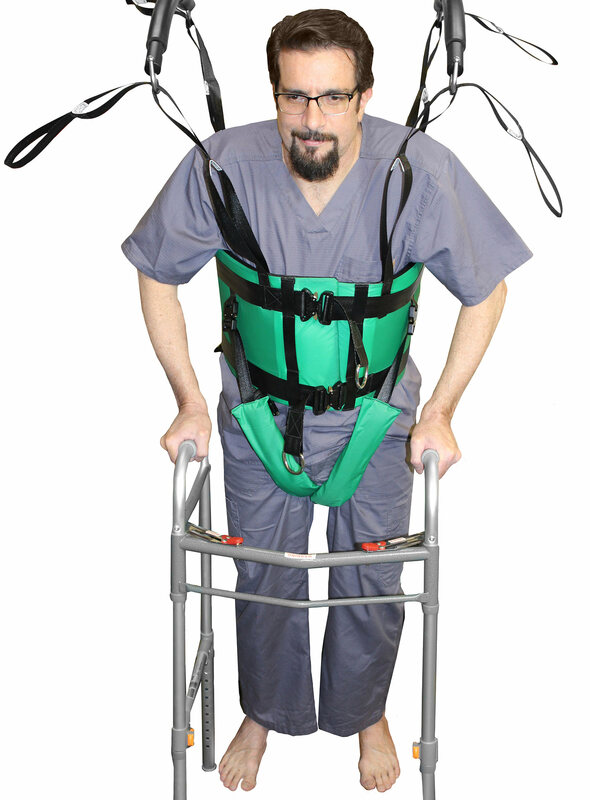 The WalkVSW is not intended for patients who are unable to bear partial weight on one leg. 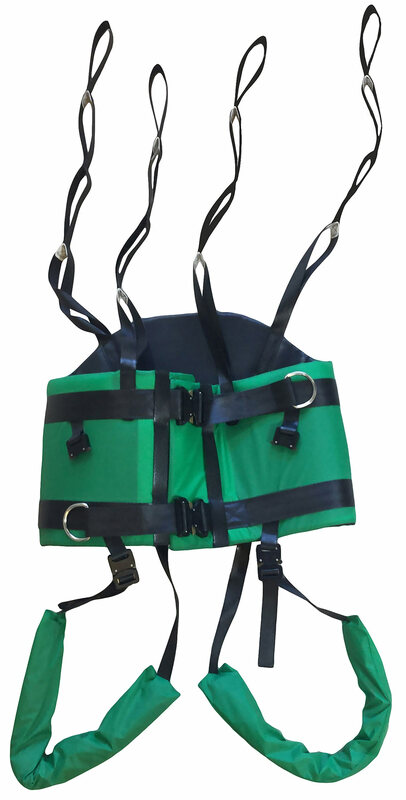 The Max Safe working load of all vest is 300Kg / 660lbs.